May apply for membership even if the majority of the relevant voting stock is owned by another person, business entity or governmental entity with common affiliations or interest. All membership applications must be accepted by the board of directors through a majority vote. The board defines a regional magazine as one that covers a specific geographical area larger than a city and smaller than a nation (except for small nations). Provisional membership may be granted by the board of directors if the board believes the magazine will meet all of these requirements within a two-year period. Number of years under this title? You'll need to follow up your application submission with 12 copies of your publication (6 copies each of the two most recent issues). 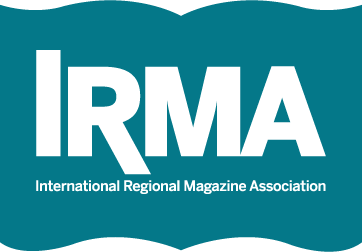 I certify that the above statements are true and submit this magazine’s application for membership in the International Regional Magazine Association (IRMA). If accepted, the magazine agrees to abide by the bylaws and policies of IRMA and remit a one-time $100 initial administration fee, plus the first year's dues of $1395 for magazines with less than 50,000 circulation, or $1595 for higher than 50,000 payable within 30 days of my acceptance. Dues include one registration at the current annual conference (value of $1000). All amounts are in U.S. currency.